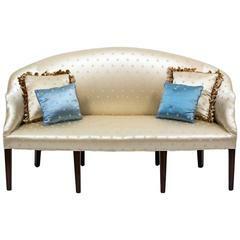 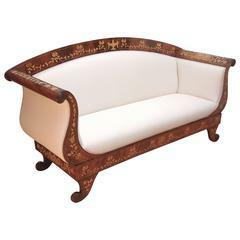 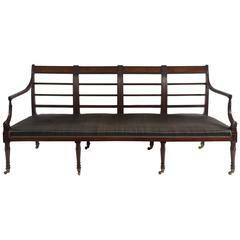 English mahogany camel back settee with flanking scrolled brass tacked arms, removable cushion, carved floral knees, and terminating on trifod splayed feet. 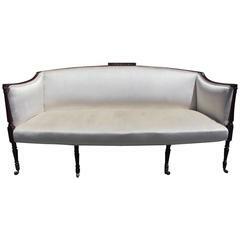 Settee is upholstered in white muslin with horse hair and cotton padding, Early 19th century. 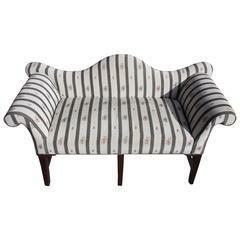 English Chippendale style mahogany camel back roll arm settees with pink upholstery (20th century) pink sofa. 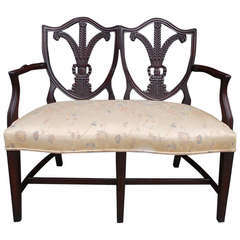 Two priced each.